It is hard for common users to find out the fastest, safest or the most feature-rich iPad transfer among thousands of software on the market. In this article, we list top best iPad to Mac transfer and top iPad to PC transfer for users and also offer them a tutorial of how to use it to copy videos photos music from iPad to Mac with world's NO.1 fast speed. What kind of criteria do you have for judging the most effective and easy-to-use iPad transfer? Perhaps some of you will believe that the transferring speed is the essential factor. In fact, there are many factors you should pay more attention to including stability, easy to use, features, supported OS and more suchlike key elements. Thus, here, we list top best iPad to Mac transfer software and iPad to PC tansfer software based on these factors. 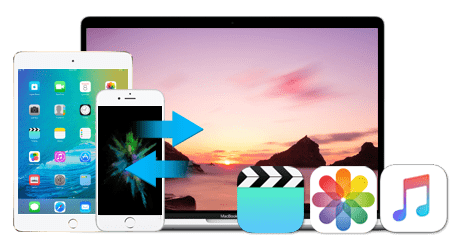 MacX MediaTrans, famous for its fast speed and easy-to-use, which allows you to transfer files (music, video and photos) between iPad and Mac. Specially designed for Mac users, MacX MediaTrans can effortlessly transfer files to Mac from iPad Pro, iPad Mini 4, iPad Air 2, etc. To be specific, this functional tool provides you the easiest way to transfer music/video from iPad to Mac and vice versa, copy photos from iPad to Mac computer (macOS Sierra/El capitan included) and freely mount iPad as a flash drive for storing various files. Superfast transferring speed and no quality loss. In addition to serving as an iPad transfer, MediaTrans iPad file transfer also can be used as a iPhone or iPod content manager which enables you to painlessly transfer video music photo from iPhone iPod to Mac and also mount iPhone iPod to USB alternative. Now, follow the step-by-step guide to transffering files from iPad to Mac or vice versa. Before moving files between iPad and Mac, you should download iPad to computer transfer on your Mac (MacBook Air/Pro, iMac 4K/5K, etc). Step 1: Launch iPad to Mac transfer and connect iPad with computer via a USB cable. Step 2: Choose your desired transferring mode: Photo Transfer, Music Manager, Video or Flash Drive. You can backup music, playlists, images, Live photos, pictures, videos, movies etc from iPad to Mac or click "Flash Drive" button to mount iPad as a portable flash drive. Step 3: Tap "Export" button on the top of iPad photo transfer interface to select the file you'd like to transfer. Later, the selected files will be transferred to Mac at very fast speed. Step 1: Open Mac to iPad transfer software and connect your iPad with Mac via USB. Later, you also will see the four iPad file management functions. Step 2: Take music transfer as an example: click "Music Manager" > "Add Music" to select music files from Music folder, Purchased songs or other tracks to copy songs from Mac to iPad. Step 3: Click "Sync" button to start to transfer music from Mac to iPad without iTunes. Supporting Mac OS X v10.6 -10.11 El Capitan, ImTOO iTransfer Platinum for Mac is a powerful iPad transfer that can transfer all kinds of files (music, videos, photos and apps) between iPad and Mac, create photo albums, edit or delete existing playlists in iPad, edit the ID3 information for multiple music files, etc. * can download videos from online sites to iPad convering YouTube, Dailymotion, Break, Vimeo, Revver, Blip, Vidilife and Stickam. * able to import/export iPad contacts. * convert DVD/CD to iPad supported video/audio formats for playback with no limits. 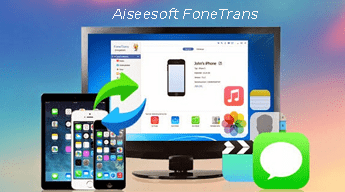 Known as one of the best alternative to iTunes, the Windows version of FoneTrans iPad file transfer is capable of transferring photos, music, videos, etc from iPad to PC in one click. Without doubt, photos in Camera Roll and Photo Library also can be transferred quickly without using iTunes. * can transfer iPad contacts to computer for backup. * export text messages from iPad to computer for saving. * move voice memos from iPad to PC. 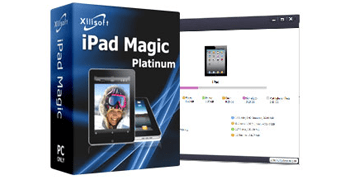 Certainly, Xilisoft iPad Magic Platinum is a great iPad to PC Manager which provides complete way to transfer files from iPad to PC and backup videos, movies, music, photos from iPad to PC with high quality reserved. And this Windows iPad transfer also can backup all files in iPad to iTunes library (iTunes 12 supported). * backup and manage contacts and message with ease. * convert CD/DVD/aduios/videos to iPad compatible video/audio formats. * one-step to download and convert online videos to iPad convering YouTube, Metacafe, Dailymotion, Break, Vimeo, Revvr, Blip, Vidilife and Stickam. 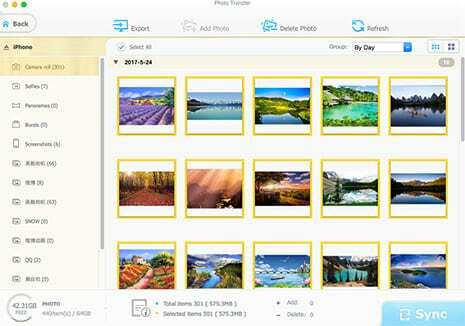 MacX MediaTrans, the world's No.1 fast and easy-to-use iPad transfer to transfer and manage iPad media files, like videos, music, 4K live photos.